I wouldn’t say they are less messy than the original tradition, perhaps a bit fancier, in which case we suggest that you devour them with your pinky finger out and with a napkin on your lap. This photo shows the bites post-baking and in the process of putting the chocolate squares on. Onto the marshmallow stage, and then they go back in the oven. The ‘hardest’ part of this recipe is probably crushing the graham crackers, which I did with my slap chop because I didn’t want to dirty up my food processor. Growing up I remember going to my aunt’s cabin and hanging out with my siblings and cousins around the fire pit at night making s’mores and trying to catch fireflies. Ahh, the joys of being a kid! 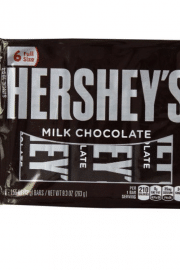 After finishing up you S’mores Bites ahead and eat the leftover Hershey’s bars or you could save them for your next real bonfire! Do not freeze, preferably eat within 3 days of making. 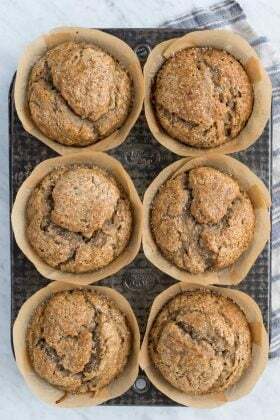 Recipe adapted from Sweet Peas Kitchen.Equipment used: mini muffin pan. 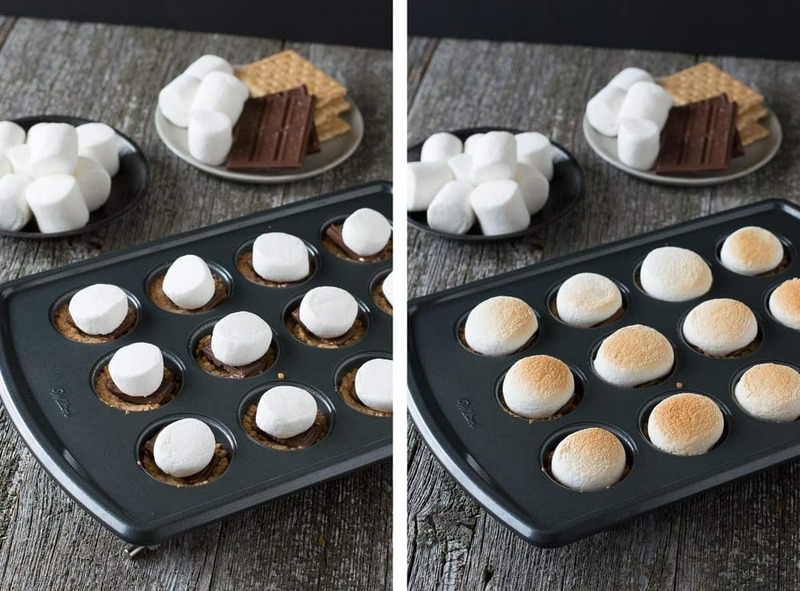 These s’more bites look amazing! I love easy recipes. Can’t wait to make these! Thanks for coming by Katie!! Hi Debbie, I am stopping over now! I love it! 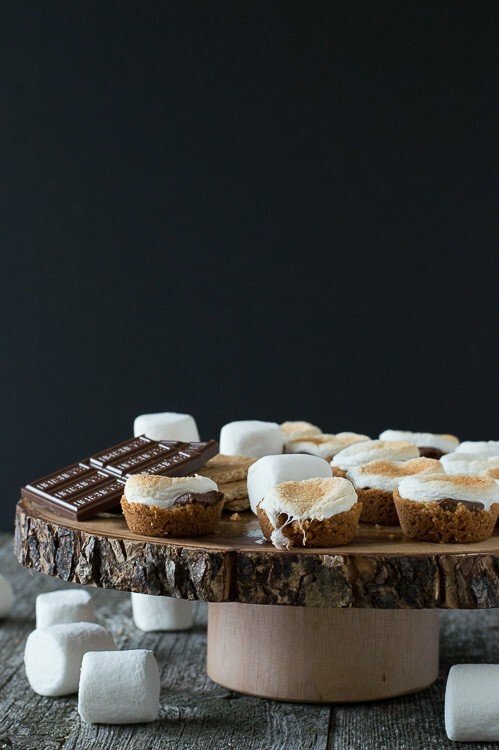 I’ve been trying to come up with a non-campfire s’mores idea, and this is perfect! (I have an idea…I’ll be posting soon…yours look better, though!) Thanks for sharing! Aw, that was kind of you! Can’t wait to see what you make! Oh my gosh, yours are AMAZING!! My kids will LOVE these…thanks!! Wonderful idea! 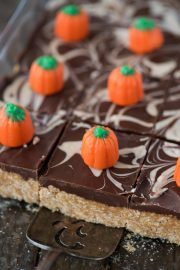 Once the pouring rain here stops, I have to run out to get the ingredients for these! My kids will be so happy tonight — thanks! These are soo cute and look delicious! Perfect for my toddler! I would LOVE to have you share at my weekly link party! Yummy! How simple is that??? Beth, These look soooo good! You will be featured tomorrow on Tell Me Tuesday! :) Thanks for linking up! and i just realized I responded on a work email ;) Sorry!! Haha that’s ok, thanks Tori! Pingback: Tell Me Tuesday Link Party! Such a cute idea!! Love this and pinning it. Thanks for sharing at Romance on a dime! 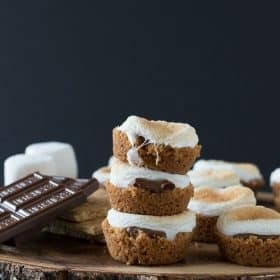 Featuring your smores bites at tonights link party!! Hope to have you swing by again!! Hahaha I like that name though! i’ve been making these for a few years now and i cannot escape them! every party or event everyone asks if i have brought my “crack cakes”. i make mine a bit differently but them same idea and they are awesome!!!! I just made theses they taste amazing!!!!!!! I am so glad you enjoyed them Jilly! Just found this recipe. Perfect timing for my hairdressers b-day, she loves s’mores. I will be browning the marshmallows under the broiler. Can’t wait to make! Thanks for sharing. Hi, I used a 2 tsp measuring spoon for the graham crumb mixture and it was perfect! Also, I heated the broiler and put the pan under for a few seconds, watching closely, and the tops of some of the marshmallows browned in case some people like them that way! This is such a clever, easy recipe, thanks! I have made these from a different recipe and lost it. I am so glad I found your recipe. 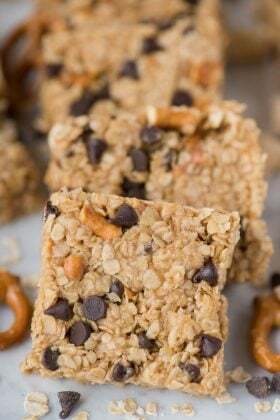 I put a little less sugar in them, but these are perfect for a get together or a child school bake sale! Wowza Kaylene, that is a GREAT tip! Thanks for sharing! Oh, how I LOVE s’mores! … and these little bites look simply divine. Such a great idea Beth! I’m going to share this with my 18yo daughter, she loves baking and I know she would enjoy these! Pinning too! Love these little s’mores bites, Beth! I’m wondering if I could fit that whole set of three sitting on top of one another in my mouth right now. I’m thinking I could. Yep, I could. These look SO good! These are so stinkin’ amazing! 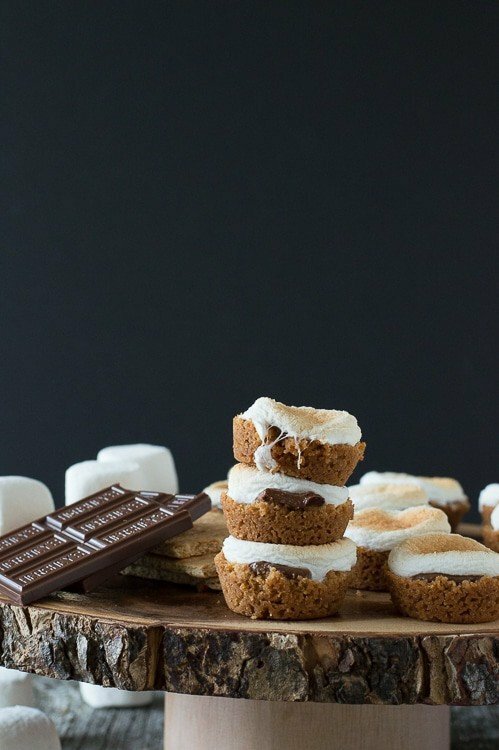 I love everything smore but bite sized can be dangerous! These are so much fun! As someone who ate (more than) her fair share of campfire s’mores growing up, I love having this indoor option. My kids will agree. And they are SO good! How did you know my weakness is smores?! Girl. 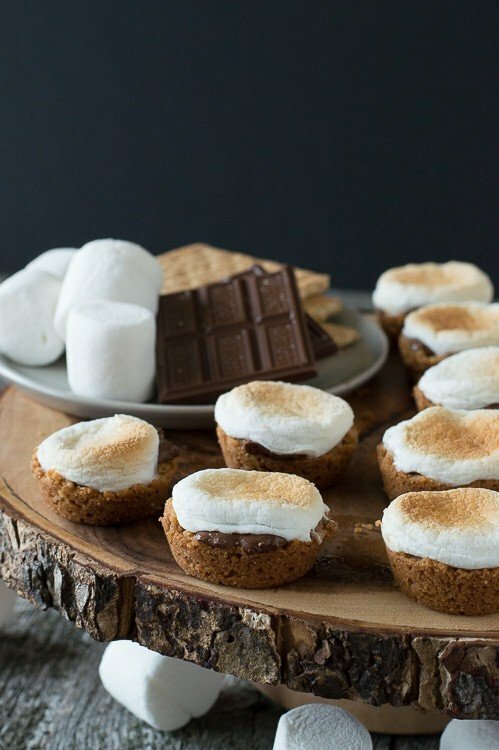 I need these ASAP because I don’t think the hubby will stand outside with a fire just to roast me a smore…..sad. I know. Hahaha!! You crack me up! I love smores and I LOVE mini desserts :) Best of both worlds! These look fantastic Beth! Hi! Thank you for the recipe! I cant wait to try it. I have two quick questions: 1. Do you think I could bake these in cupcake liners? (Ya’know, easier to clean afterwards, ha! ); 2. If I cook these the night before it is served, is it okay to refrigerate it or is it better to leave them out covered on the counter? Thanks again for sharing this recipe! Hi Keli-Grace! 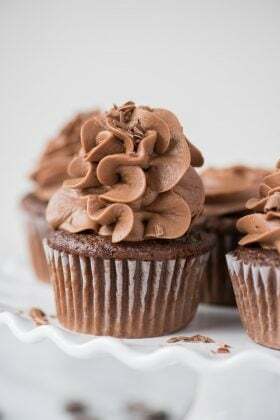 I suppose you could use cupcake liners, but make sure they are mini cupcake liners because they are suppose to be made in a mini muffin pan. Definitely do not refrigerate them, because the marshmallows will get really hard. But these really only take 20 minutes to make, and they will taste best if you make them on the day you will be serving them. These look so delicious – I am dreaming of summer now! Thanks for the reply! These are delicious! I hope they turn out wonderfully! Hey my cups didn’t come out very stable. Is there a way to remedy this? I love them and they are delicious, but the graham cracker cups just feel apart. Hi Thomas! 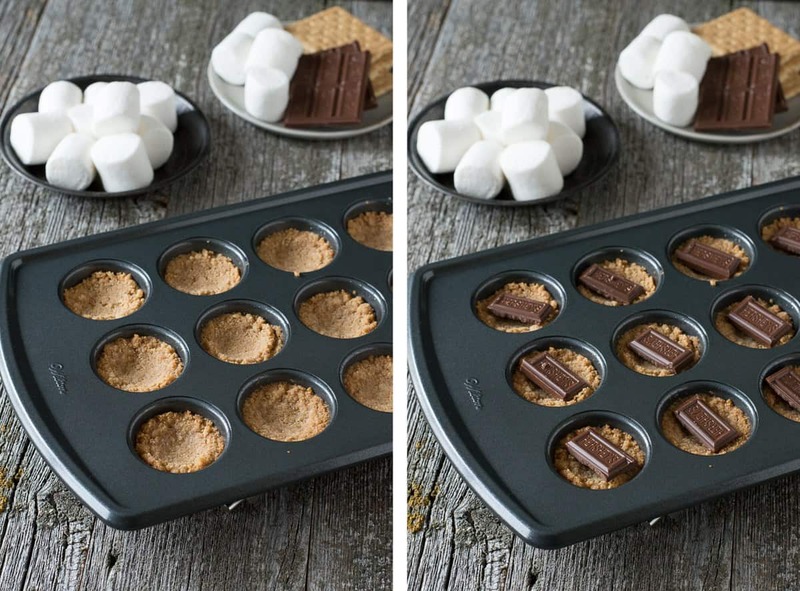 Did you press the graham cracker and butter mixture firmly into the mini muffin pan? I would suggest pushing that mixture firmly into the pan if you are having issues with them falling apart. I’m sorry to hear you’re having this issue! These look wonderful. I am going to make them for my 12 year old daughter to take to a party at church on Sunday. I need to get some mini muffin pans. Do you have a recommendation? I see a lot of pans come in 24. Do you recommend that or getting two pans of 12? I have 3 of those mini pans, they are very useful! Just made these for dessert tonight! The fiance is gonna love me more than she already does! Thanks for the great recipe, and I look forward to trying more of postings! Awww, you are so cute, your fiancé is lucky! These look great! For a more “grown up” twist try it with Cayenne pepper chocolate or liqueur chocolates. I made these this evening. I’m lazy and used the box graham crackers and WOW! They are so good! I could eat the whole batch myself! I did a couple with peanut butter cups just for fun. This is the best idea ever!! Adding peanut butter cups sound great! Is it okay to make these a day in advance, or will they get hard? Hi Bri! The marshmallows will harden up. I would suggest making them the same day you’ll be serving them, but you could try it, I’m unsure of what the results would be like! Is it ok if I make them in the morning the day of the event, but they aren’t served until about 4pm? Hi Bri, if you make them in the morning and serve them later, come back and let me know how it goes! I just made these and they are delightful!!! Great news Katie, glad you liked them! The simplest way to make graham cracker crumbs is to put them in a ziplock bag and run a rolling pin over them. Or if you don’t have a rolling pin, just crush them with your hands and rub between your hands until crumbled. Rolling pin works very well. I use the rolling pin method a lot now! If made the night before, where should you store them? The marshmallows will get crunchy and hard I think if you make them the night before. 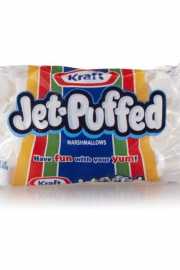 Can we use regular or granulated sugar instead of powered sugar? I have not tried this recipe with regular sugar! Just made this with my two young boys this afternoon. I loved how easy it was and how much my boys could help with breaking the chocolate bar and helping to assemble everything. 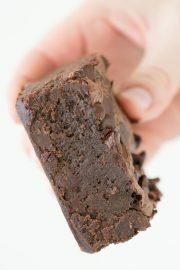 And I just tasted one — oh my delicious :)Thanks for a great recipe! This is one of my go to party recipes and everyone loves it. Thanks so much for the fun and easy recipe! Thank you for posting this! Just made them. They are cooling. How did you get your marshmallows to look perfect? Mine kind of deflated and look scary. Ha ha. I’m sure they still taste good though! I wouldn’t recommend making them too far in advance – or you could try it out and see if they are still soft and gooey! I love this recipe, however my crumb crust falls apart when I remove them from the tins. I’m letting them cool completely and I’ve double checked that I’m using the right amounts. Any suggestions to keep the crust from crumbling? sprayed pan as directed and could not remove from pan, torn to pieces. Hi Dale! I’m sorry to hear it didn’t turn out well. The marshmallows shouldn’t be in the oven long enough for them to melt, just long enough to toast them. These look amazing! Quick question, if I wait until the day of to toast the marshmallows, do you think I could make the graham cracker cups before hand? These look delish! Could I use mini marshmallows instead of cutting the big ones, if so about how many? those were delicious i will definitely be making more of those also don’t use to much graham powder because if you do they will be falling apart. thanks so much for that recipe. do you think adding a little more butter will work – I think I need the amount of crackers to make 24 bites. Thanks! Some of my crusts fell apart – what do I need to do to prevent that? 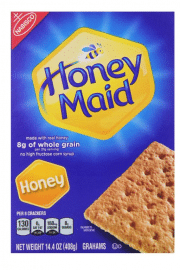 But they were a big hit – very good, I am making more today and crushing the graham crackers to a finer consistency and adding a little more butter. The directions say bake the crusts “…until the edges bubble.” I don’t understand how the edges can bubble when it’s only cracker mix. Thank you ! Good point! I replaced bubbling with golden. Some crumbs will come off, but they shouldn’t fall apart. Make sure to press the cracker and butter mixture really well into the pan. Made these today. Did them in cupcake pan in wrappers. Turned out great. Recipe made 9 regular size Smores. They were a tad messy, but well worth it. Simple and fast! Will definately make again! Could you bake and take somewhere or are they better warm? We eat these at room temperature all the time! I used the bottom of a shot glass sprayed with canola oil to press the graham cracker mix into the mini muffin tin. It fits perfectly and allows you to get a crust that holds together. I have had zero issues with crusts sticking or falling apart. Fantastic recipe! While these tasted good, they fell apart. All the graham crumbs continued to be crumbs after cooking. I let them cool and everything. Sorry to say I won’t make these again. 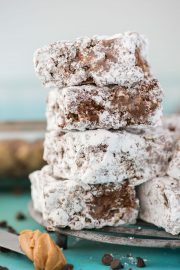 These are my go-to for every party everyone loves them thank you for sharing this recipe with us…. this time I made them I was asked to put reese’s instead of regular chocolate they are soooooo good ???? This recipe is horrible. Followed it to the T, graham crackers were soaked in butter 5 minutes after putting them in the oven. It took 20 minutes (AND COUNTING) for them to harden up. Throw the whole recipe in the garbage. We and so many other people have made this countless times with amazing results. Just made these for an NYE party! They’re cooling now, I CAN’T wait… our whole apartment smells like s’mores, I’m drooling. I subbed kisses for rectangles since it’s what we had on hand, then popped the kisses in the oven on top of the graham crusts for 2 minutes to melt them a tad before smothering them with the marshmallow half. Fingers crossed the graham crackers don’t crumble on me. Any secret to getting these suckers out of the pan without demolishing them? I lightly greased with butter before filling. Even if they break, who cares, I’m eating them all!